Fun on the Rope Park relies on moving along tracks that have been stretched between trees. 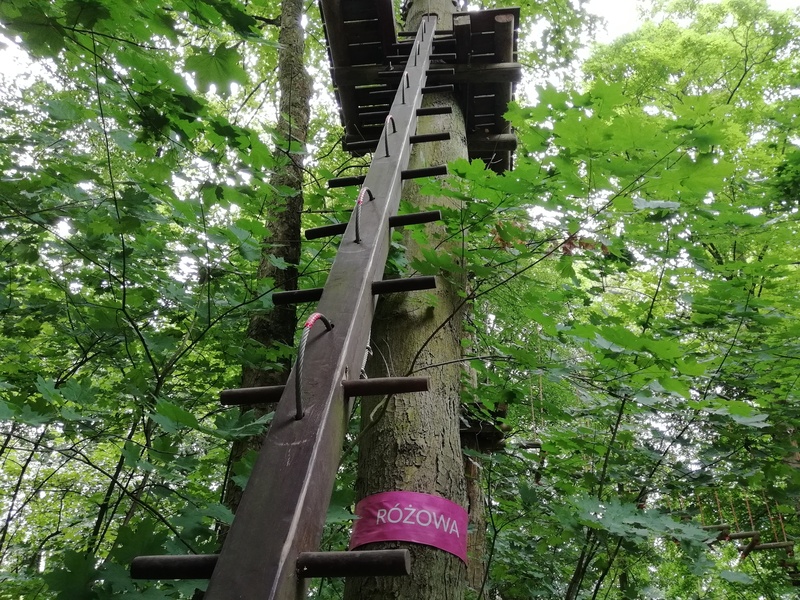 We have a number of obstacles at our disposition: rope bridges, drunk ropes, swaying beams, zip lines, balancing beam, cobwebs, moving footbridges, catwalks and many more. There are three routes in the Park, so everyone will find something for themselves. Safety on the Rope Park is ensured by professional equipment (harness with lounges, a pulley and a climbing helmet), in which each participant is equipped by an instructor. Before starting, each of the clients is familiarized with the rules of safe movement around the Park and then examined by the Instructor in order to verify skills and eliminate mistakes. Such a process allows all participants of the attractions to move around the Park tracks independently. The Rope Park Instructor watches over the safety and correctness of the passage. We have extensive experience in our work, we deliver unforgettable impressions since 2008. 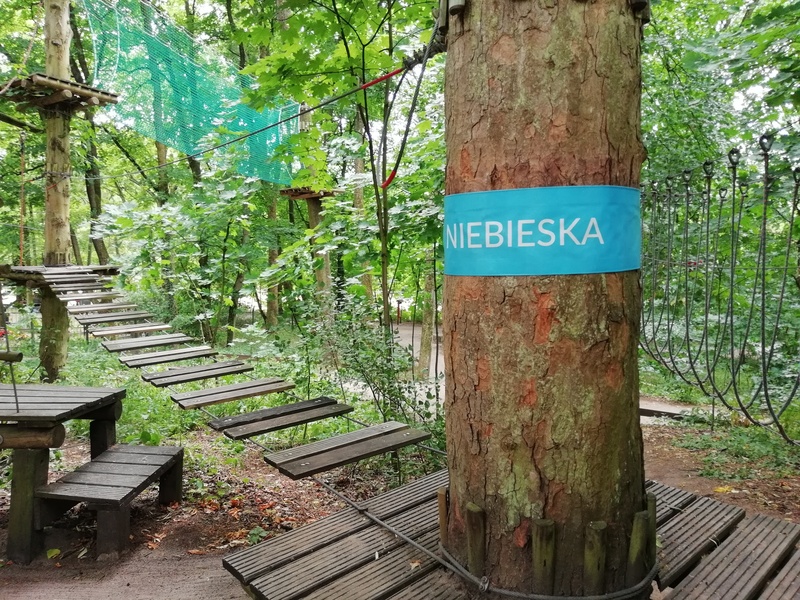 There are three routes in the Barbarka Rope Park: blue, pink and green. The pink track is the newest one. It requires less strength than others, but you need a sense of balance. Its color does not mean that it is easy or “girlish”. 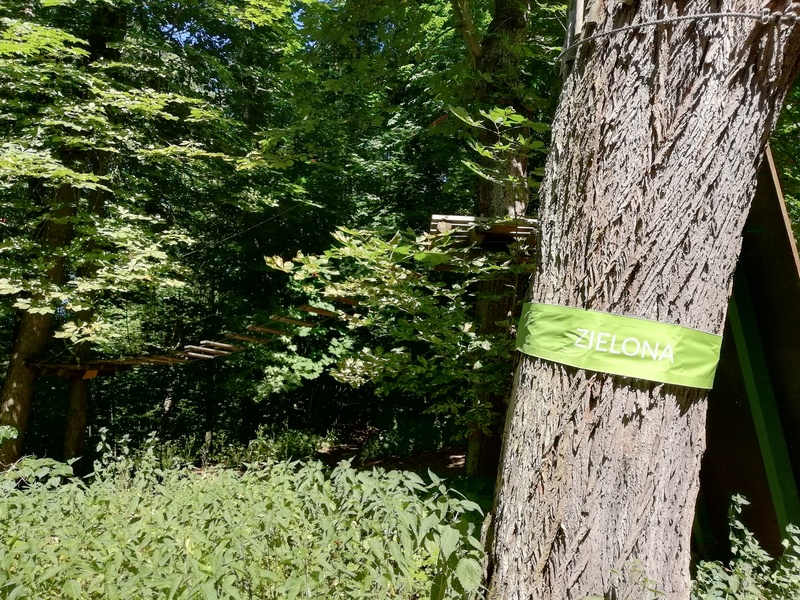 There is the longest zip line – 40 meters long! For all bold over 140 cm tall.